Gin is enjoying a boom in Ireland almost on a par with that of whiskey, the key difference being that whiskey takes a minimum of three years to produce, whereas you can make gin in twenty four hours. Many of the new whiskey producers are offering gin (or poitín) as a means of financing their business until the whiskey is ready. Others are specializing in gin. Shortcross in Northern Ireland, Blackwater in Cappoquin, and Highbank in Co. Kilkenny all produce very good examples. They have been joined recently by Bertha’s Revenge. 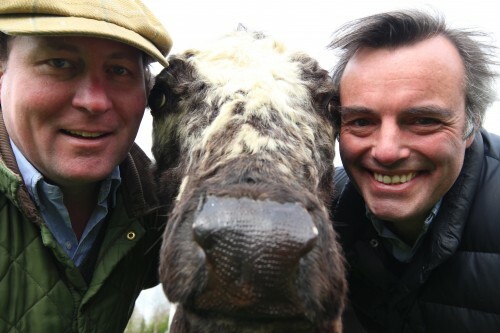 Bertha was the world’s oldest cow, a native of Sneem in Cork; she passed away in 1993 aged 48 years, having given birth to 39 calves. Her Revenge takes the form of a gin distilled from whey, gathered from local dairy farmers. At the moment Bertha’s Revenge is made at Blackwater, but in the future it will be distilled in Ballyvolane House, a luxury guest house close to Fermoy in east Cork. 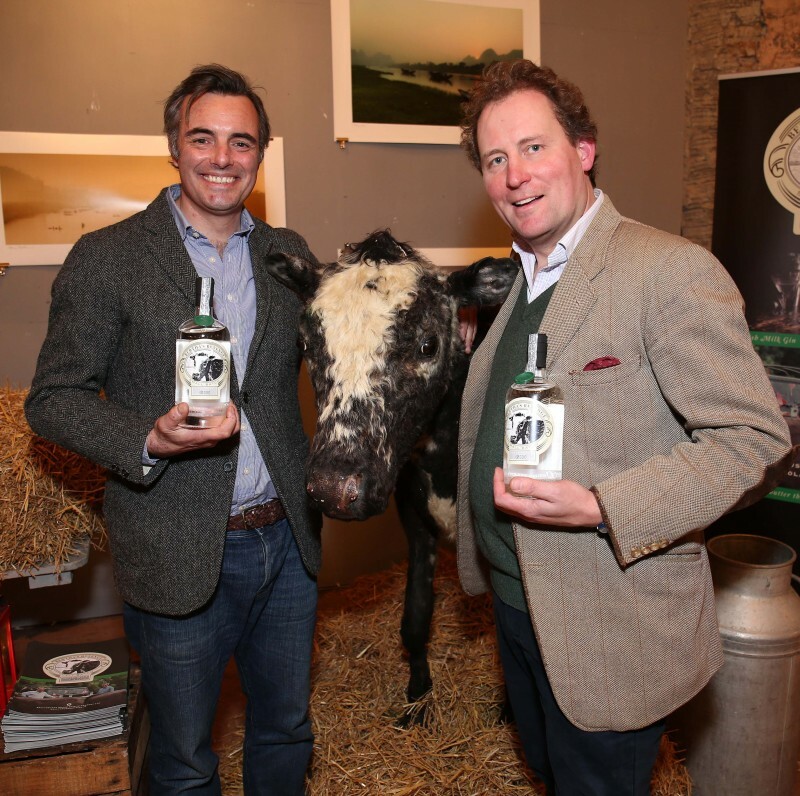 The gin is the brainwave of proprietor Justin Green and a friend, Antony Jackson. Unlike some gin producers, they are quite open about the ingredients used in their gin, in this case, coriander, bitter orange, grapefruit, lemon, lime, liquorice, orris ( made from iris root before you look it up), angelica, cinnamon, cloves, cumin, almond, elderflower, alexanders, and sweet woodruff. Oh, and childish enthusiasm, love and laughter are all listed as ingredients! 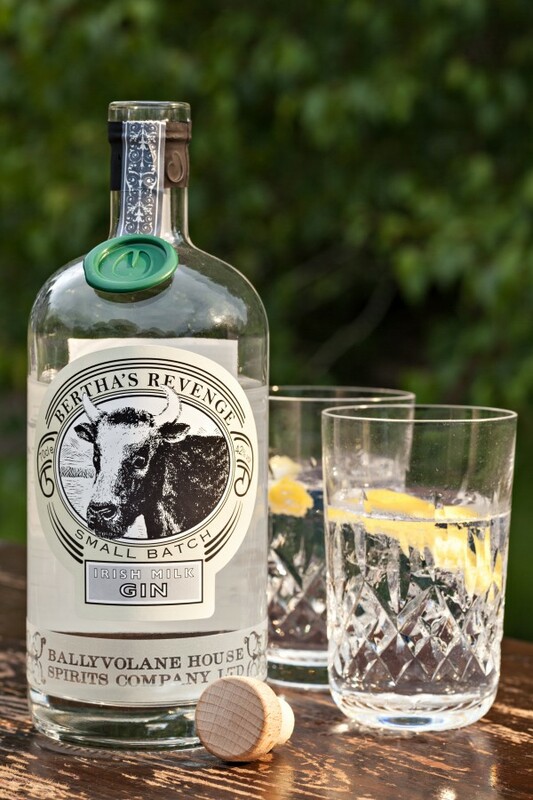 I liked Bertha’s Revenge a lot; it is a smooth, quite subtle gin with restrained juniper alongside notes of fresh orange peel and coriander and a lovely long spicy finish. I tried it with a drop of water, which was delicious, as well as in a beautifully textured martini and a gin and tonic. They also have a crab apple gin and a sloe gin being made ready for January.